As the final season of Game of Thrones quickly approaches, it’s only right that we celebrate. Over the next few weeks, we will being taking a look back at some of the iconic woman on the show and their equally iconic costumes. We’ll also be showing you how to channel their looks in your everyday outfits. We continue on with our Game of Thrones countdown by looking at the style of everyone’s favorite evil queen, Cersei Lannister. Quite a stark difference from The Mother of Dragons, who we covered last week, Cersei Lannister is the mother of three of the heirs to the Iron Throne. Called the “mother of madness,” she spends her time clinging to power however she can. This includes turning a blind eye to heinous acts her eldest son, King Joffrey, commits; torturing enemies; and making it known that she wants to rule the world, even if that means burning it to the ground. 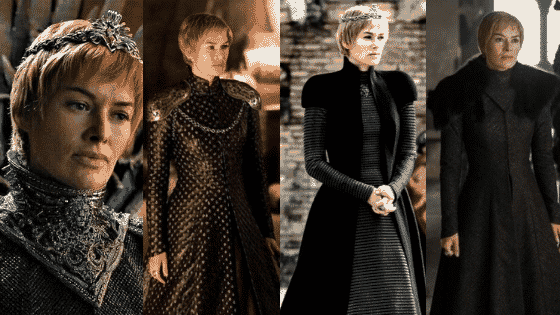 Now it is time to take a look back at Cersei Lannister throughout the seasons of Game of Thrones, and how her wardrobe has evolved. We’ll see how Cersei has changed from a lioness protecting her cubs, to a ruler destroying everything in her path. It seems a lifetime ago that Cersei was simply the wife to King Robert and mother to the three heirs of the seven kingdoms of Westeros. In the first season, Cersei plays two roles in her public life: dutiful wife to a husband she despises and proper lady of the court. Though she is a force to be reckoned with, she often has to hide her fierce Lannister pride by wearing clothes that make her appear weak and unthreatening. 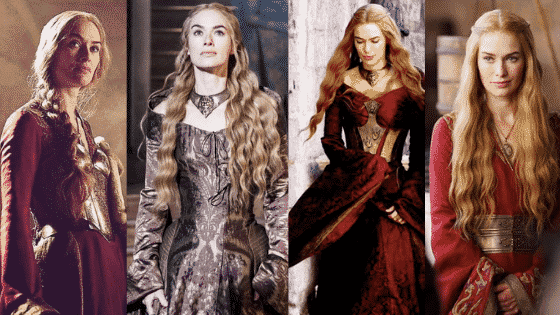 We often see Season 1 Cersei in flowing gowns, in shades of pink and muted purple. She does get to show her pride through the little details of her garments, though. These include lion embroidery on her shawls and gold metal belts that wrap around her waist. Season two and three follow the reign of the Lannisters. Following the death of Cersei’s husband, her cruel son Joffrey takes on the role of King of the Seven Kingdoms. This places Cersei and her family in charge of much of what goes on within the kingdoms, including who lives and who dies. In these seasons, it seems there is no stopping the Lannister family, and Cersei displays her family pride. We see her wear the red and gold colors of her house, and she often has her house’s lion embroidered into her dresses or embossed into her jewelry. Cersei also starts to incorporate metalwork into her garments, even adding armor to the torso of her dresses. This is her way of saying she is a warrior, even if she is a woman. After season three, we start to see the downfall of house Lannister, and Queen Cersei’s subsequent fall from grace. Cersei loses her children one by one, is starved and humiliated by the annoying religious group the Sparrows, and she has almost every drop of sanity and kindness ripped from her body. In these seasons, we see her carry on in similar garments from what she wore in seasons two and three, but are now all in shades of black with details of gold. After all, Cersei is in constant mourning for her family members and the fall of her great house. At the end of season six, we watch Cersei pull off the biggest power move, probably ever, on the show, by blowing up all her enemies with wildfire. From that moment on she becomes a true tyrant, ready to destroy anyone who crosses her path. 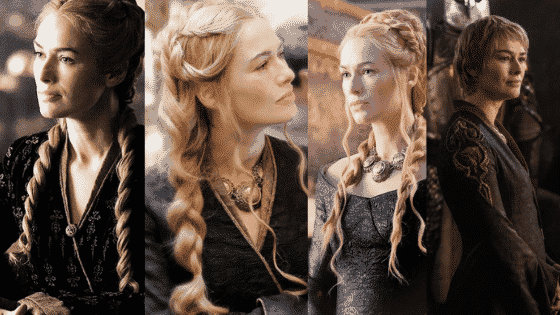 With her children and most of her family gone, there is no one holding Cersei back from what she wants, which allows her to crown herself the Queen of the Seven Kingdoms. With this change in Cersei’s situation, there is a drastic change in her wardrobe. She abandons the garment style of the ladies of King’s Landing and the gold and scarlet colors of her house, and begins to wear structured garments in black with silver detailing, that have the appearance of armor. These garments really drive home the fact that no one can touch her or bring her down anymore. Or, at least, that’s how she wants to appear. 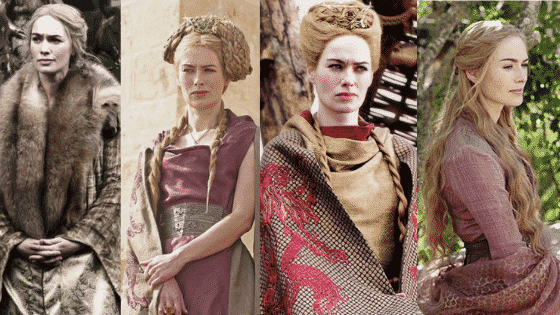 What do you think of these Cersei Lannister outfits? Are you ready to see what terrible acts Cersei shall commit in the new season of Game of Thrones? 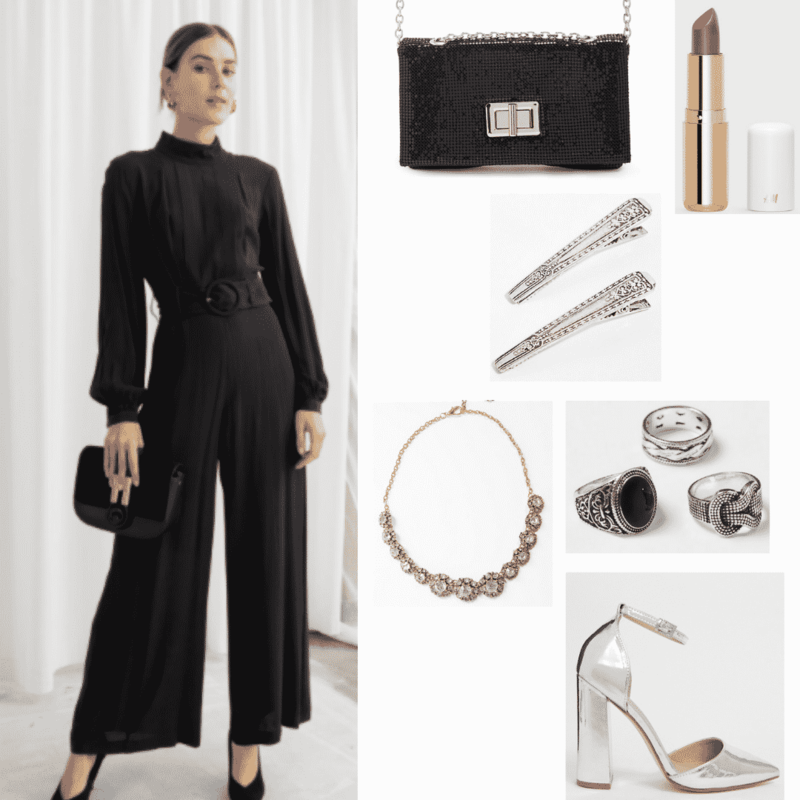 Hopefully this post gave you a good look back at all of her memorable costumes throughout the years and gave you some inspiration on how to emulate those looks.